(Philipsburg, SXM) – The Governor of St. Maarten, his Excellency drs. 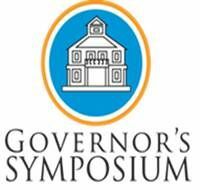 Eugene Holiday will host the 1st Annual Governor’s Symposium entitled “National Heritage: Historical, Cultural & Economic Importance” on December 17th, 2012. “For our young country St. Maarten, it is in the context of nation building, important to identify and recognize the national heritage that binds our people. It is thus imperative that we cherish and nurture our national heritage,” says Governor Holiday. 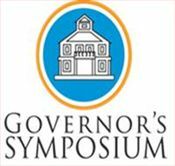 The Governor’s Symposium will feature national, regional and international speakers who will lend their vast knowledge and expertise to the central theme of National Heritage and its meaning. The speakers will focus on regulation & policy, monuments and arts. The Keynote speaker will be Ms. Alissandra Cummins, the Director of the Barbados Museum & Historical Society and member of the Executive Board of UNESCO, a recognized authority on Caribbean heritage, museum development and art. On a national level, the speakers will in addition to the Minister of Education and Culture, Ms. Sylvera Jacobs, include, acting Secretary General of the Ministry of Housing, Spatial Development, Infrastructure & Environment, Mr. Louis Brown, Specialist for Monuments & Archaeology at the Ministry of VROMI, Dr. Jay Haviser, Head of the Culture Department, Mr. Neville York, and performing artist & choreographer, Mrs. Clara Reyes. The speakers from the region will be USVI Department of Planning & Natural Resource Commissioner Alicia Barnes, Coordinator on Curaçao of the UNESCO Caribbean Heritage Course Mr. Michael Newton and Director of Heritage Resources for the National Parks Antigua Mr. Arthur Murphy. Coming from the Netherlands, but having national ties, is the Vice Chairman of Strategic Development at TMF Group Holding B.V. Mrs. Maria van der Sluijs-Plantz.